Hydro-cortisone and Cortisol refer to the same compound. Cortisol, known more formally as hydro-cortisone is produced in the human body by the adrenal gland in the zona fasciculata, the second of three layers comprising the adrenal cortex. The cortex forms the outer "bark" of each adrenal gland, situated atop the kidneys. Not to be confused with Cortisone, a similar compound with a similar name, genesis, and function. (Source: Wikkipedia). Adrenal insufficiency/fatigue is a major factor in poor health for many people, possibly as high as 50% of the population of industrialized countries. For these people, the first step in restoring health must be to support adrenal hormone output. It is the hormone hydro-cortisone that is inescapably essential for improving health. So, for these people supplementing with bio-identical hydro-cortisone is the gateway to the journey into wellness. This situation has arisen due to either; acquired adrenal insufficiency from birth or childhood, or most commonly from the many years of demands of hyper-civilization; stress, modern lifestyle, poor nutrition and not enough rest to recover. Further, EMF exposure, in this age of electronic devices (computers, TVs, mobile devices and so on), impacts upon the adrenal glands. Eventually many people end up shifting from this hyper-civilization mode to a burn-out phase of constant tiredness and insufficient energy to do what we used to do. The result is adrenal insufficiency/fatigue. This means that the adrenal glands are unable to produce sufficient hydro-cortisone to maintain health and adapt to life’s challenges, be they physical, mental, emotional or physiological. 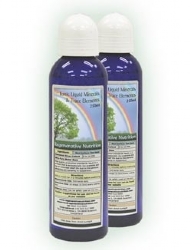 Sufficient hydro-cortisone is essential for a balanced immune system. 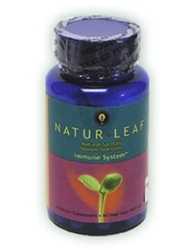 On one hand it is required for a efficiently functioning immune system in times of infection, stress and detoxification, and on the other hand it is required to limit the degree of inflammation in the system. It is a hormone produced in response to stress. Hydro-cortisone also plays an important role in the regulation of carbohydrates, fats and proteins. Hydro-cortisone fights inflammation, helps regulate blood pressure and helps stabilize cardiovascular function. Hydro-cortisone regulates the body's fight or flight mechanism, the body's normal release of adrenaline by the adrenal glands. Low hydro-cortisone levels cause varying symptoms among individuals. The main indicator of chronic low hydro-cortisone levels is fatigue and low blood pressure. Those with moderate, but not severe, hydro-cortisone insufficiency can sometimes function reasonably well, but need more rest than most people. If they come under stress, (which would include detoxification from therapies, worry, over-work, insufficient sleep and infections or simply being pushed beyond their normal tolerance levels in any way) then they can suffer from more marked fatigue, including chronic fatigue syndrome. It is also possible to lapse into an auto-immune disorder or experience a worsening of an existing auto-immune disorder. The reason for this is that the body requires significantly more hydro-cortisone to maintain its physiological balance in times of stress. In a person already suffering from adrenal insufficiency, their adrenal glands simply cannot produce enough extra hydro-cortisone on demand and this will render the cells even more hydro-cortisone deficient. Inflammation is a natural part of the immune and healing response, it is a mobilisation of the bodies defences that should normally be halted at the appropriate time for healing to proceed. With any auto-immune disorder, insufficient hydro-cortisone results in inflammation that is not halted when it should be and thus results in detrimental affects on the body, including tissue and organ damage. For example, in the case of asthma, the failure of inflammation to stop at the appropriate time results in distress and constriction of the bronchi. This can, in extreme cases, eventually lead to damage of lung tissue. Studies show that a majority of adults will suffer from adrenal fatigue syndrome, but not everyone knows all of the symptoms to look out for. Some of the causes of adrenal fatigue syndrome include traumatic and/or chronic stress, such as the death of a loved one, or prolonged financial or marital stress, or an infection that one never seems to get over. The list above is not an exhaustive list and not all of these symptoms will be present in all sufferers of adrenal fatigue. A study by the University of Minnesota found that young mothers who were depressed were more likely to suffer from low hydro-cortisone levels as compared to other young mothers who were not suffering depression symptoms. Please refer to the section titled How do we ascertain adrenal insufficiency/ low hydro-cortisone? that appears later in this article for more information on determining insufficiency. "In 1949, when Dr. Philip Hench and his associates at the Mayo clinic reported the remarkable effects of hydro-cortisone and adrenocorticotropic hormone (ACTH) on patients with rheumatoid arthritis, their discovery was greeted as a major advance in the field of medicine. The Nobel prize awarded for this work reflected the significance that was attached to it. Not only where patients crippled with arthritis helped to get back on their feet and become active members of society again, but patients with other so called "collagen diseases” such as disseminated lupus erthematosus, polyarteritis nodosa, and scleroderma were dramatically benefited: patients with allergies such as bronchial asthma, hay fever and eczema received impressive relief: patients with some types of leukemia and other malignancies went into temporary remissions: and those with numerous other disorders experienced unprecedented improvement from those agents (cortisone/hydro-cortisone)”. 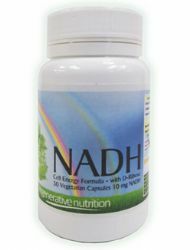 The sufferer from chronic adrenal fatigue or more accurately chronic adrenal insufficiency may diligently try all sorts of remedies; nutritional and herbal approaches, different therapies and so on, but fail to get well after months or even years of trying. 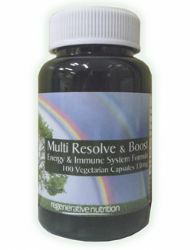 Eventually these people realise that most of the therapeutic actions and remedies that they take aggravate their condition, so they have to proceed slowly with much lower dose nutritional supplements. Often the very important remedies that could bring about a clinical improvement appear to be the worst aggravators. This can be avoided with the correct physiologic doses of hydro-cortisone. Doctors are taught that there is little difference in the side effects between low dose hydro-cortisone and high dose hydro-cortisone. For example, in cases of acute episodes of asthma, a non bio-identical hydro-cortisone is often prescribed in very high doses (relative to the body’s natural functioning). 40 mg or more daily of patented synthetic hydro-cortisone (such as Prednisolone) may be prescribed for one week only. This is equivalent to 160 mg of hydro-cortisone daily. This often gives the immune system time to halt the attack, however it does not address the long term underlying causes. The vast majority of suffers of autoimmune disorders suffer from sub-optimal adrenal output of hydro-cortisone, and when this low hydro-cortisone level drops even further, due to stress of any kind, then this is likely to lead to autoimmune relapse. It is not surprising that hydro-cortisone became known as the miracle medicine. Yet, within a few years, hydro-cortisone fell into such disfavour that is was considered a dangerous drug whose use should be reserved for serious illness when no other treatment was effective. That this is a normal hormone was largely forgotten, and that many patients had taken it for years with no harmful side effects was generally overlooked. Actually many patients cannot lead normal lives without it, and while taking hydro-cortisone their lives are as normal as any healthy person. Furthermore, there are other potential uses for this hormone in safe dosages that appear even more promising than the known uses of the hazardous dosages. There is even convincing evidence that it can improve resistance to the common cold and influenza! How could such a situation occur that it became regarded as a dangerous drug? *In some patients this produced serious side effects, and from then on any dosage of hydro-cortisone and other glucocorticoids, was considered potentially hazardous. The term hydro-cortisone therapy was applied indiscriminately making it difficult to evaluate the difference between what steroid the patient had received and at what dose. It is now established fact that the physiologic replacement dosage for someone who has no adrenal function at all in unstressed conditions is 40 mg a day of hydro-cortisone (equivalent to only 10 mg per day of prednisolone for example) and for those suffering from adrenal insufficiency, where always some function remains, the dose in unstressed conditions is typically around 20 mg daily. Hydro-cortisone as produced by the adrenal glands is not patentable so similar chemicals have been produced and patented. A common example being the steroid drug prednisolone. This is about 4 times as powerful as the bio-identical hormone hydro-cortisone, and is typically given in dosages from 10 to 60 mg daily. This is equivalent to a hydro-cortisone dose of 40 to 240 mg daily, far above what the body requires to function properly. Hydro-cortisone and its drug derivatives have powerful effects on the body and dosages that are significantly above the required amount to obtain physiological balance will produce some serious side effects that can include blood sugar disorders, muscle wasting and other significant side effects. A better way to proceed is to use bio-identical hydro-cortisone. 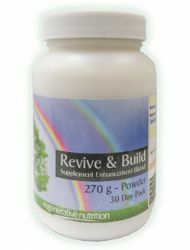 The dosage range on a regular long term basis is 15-40mg daily. At these levels it is side effect free. In cases such as acute infection 80mg can be taken for up to 5 days in any 2 month period. For effective use doses must divided to 4 per day, once on rising, once on retiring and two occasions between, evenly spread throughout the day. "That hydro-cortisone is a natural hormone of the adrenal cortex implies that physiologic doses must be safe. This implication is confirmed by the clinical experience of patients with adrenal insufficiency or congenital adrenal hyperplasia. When given suitable maintenance dosages, they can take hydro-cortisone indefinitely without undesirable side effects and enjoy perfectly normal health”. Safe Uses of Cortisol: second edition: William Mck Jefferies, M.D., F.A.C.P. Note: Browstein sensibly advises doses of hydro-cortisone to be taken in three or better still four divided doses over the course of the day. This is related to the fact that the body does not produce all the days hydro-cortisone in one quick spurt, although the output is generally more, soon after getting up for the day. So endocrinologists and doctors that are wedded to western dominated pharmaceutical education are taught that there is no safe dose of the hydro-cortisone drugs in the medium to long term, and that there is no role for bio-identical hormones over and above the drug derived ones. Safe Uses of Cortisol : second edition: William Mck Jefferies, M.D., F.A.C.P. How do we ascertain adrenal insufficiency/ low hydro-cortisone? If one has any of the symptoms listed previously it is not wise to assume adrenal insufficiency is the cause. Some of these symptoms can be from other causes. Also we may be a "borderline” case and only become relatively hydro-cortisone deficient in times of stress as discussed above. Possibly the world’s greatest expert on the safe uses of hydro-cortisone, William Jefferies, states that the tests are not a golden rule. The only way to know if supplemental hydro-cortisone will be useful is a "personal clinical trial” as he calls it (self experimentation, basically). However, it is now widely accepted that the appropriate blood pressure tests can be quite a reliable indicator of adrenal fatigue or otherwise. This type of blood pressure testing requires more than a single reading, on an ongoing basis, to ascertain an average. Emotional or mental state e.g. calm or agitated. How long since food was eaten. To ascertain your average blood pressure, measurements need to be taken sitting/lying and then standing quickly, preferably twice daily, at a regular time. For example, once in the morning when the blood pressure tends to be highest and again in the evening when it tends to be lowest. This more or less corresponds to the level of hydro-cortisone in the blood available for use by the cells in so far as the level of hydro-cortisone in the blood is normally highest in the morning and lowest in the evening and at night, just like the blood pressure. There are other factors that influence blood pressure such as arteriosclerosis (hardening of the arteries) and salt deficiency/sufficiency. The conditions should be similar each time you take the reading. This is important as blood pressure readings vary so much over the day, just going to the doctors and having a reading taken is no way to get an accurate result of your typical blood pressure as just the activity and slight anxiety of visiting the doctor can give a result that is not typical. Although constantly low blood pressure, Systolic below 100 (see definition below) is often an indicator of hydro-cortisone deficiency, it is not, on its own, a reliable indicator. The most reliable indicator is the difference between the sitting/lying readings and the standing up readings. This is because the blood vessels should contract in the limbs rapidly to cause more blood to reach the brain when standing. In a situation of hydro-cortisone deficiency the rapid contraction of the blood vessels will not occur sufficiently to raise blood pressure and in fact B.P. will be lower for those suffering from hydro-cortisone deficiency. Note: in some cases the cell reception of hydro-cortisone is poor, so producing effects the same as low blood levels of hydro-cortisone even when the blood levels are actually normal. Lie down or sit down, don’t move about much, for at least 3 minutes. Stand up quicky and take another reading immediately with the cuff still in place. Normally your blood pressure should rise 10-20 points upon standing. If it drops, particularly by 10 points or more (Systolic and Diastolic), then hydro-cortisone insufficiency is indicated. Generally, the bigger the drop, the greater the adrenal insufficiency. Systolic: The top number, which is also the higher of the two numbers, measures the pressure in the arteries when the heart beats (when the heart muscle contracts). Diastolic: The bottom number, which is also the lower of the two numbers, measures the pressure in the arteries between heartbeats (when the heart muscle is resting between beats and refilling with blood). It should be noted that all blood pressure monitors occasionally give a completely wrong reading. This is usually due to incorrect placement or tension of the cuff. If a reading is obtained that is significantly abnormal, disregard that reading and reset the position and tension of the cuff and take the reading again. It is important to extend your left arm out when taking blood pressure readings, both standing and sitting. Make sure that your arm/hand is about the same level as the heart. For this test you will need a torch or penlight, and a mirror. In a dark room, wait a minute for your eyes to adjust to the dark. This will allow your pupils to open fully. Then, shine the torch into your eyes, and watch the reaction of your pupils for at least 30 seconds. The light should cause your iris to contract, making your pupils (the dark circle in the center of your eye) smaller. Normally, they should stay that way, but if you have adrenal fatigue, the iris will be weak and will not be able to hold the contraction, it will either waver between contracted and relaxed, or will contract initially, but then open up after 10-30 seconds. As with the postural hypo-tension test, the degree to which you "fail" this test is an indicator of the degree of adrenal insufficiency you are experiencing. Is there going to be any harm done by taking hydro-cortisone if one is not deficient will any imbalance be created? The surprising answer is no (apart from people suffering from the rare Crushing’s disease) The reason for this is that if we take a maintenance dose to support hydro-cortisone levels in the body as previously discussed (20 mg a day, as per the directions information in previous tab) the balancing hormone secreted from the pituitary gland called ACTH will instruct the adrenal glands to produce less than normal hydro-cortisone, hence the final result will be the same amount of hydro-cortisone in the blood and tissues. When 40 mg hydro-cortisone a day is taken (the total hydro-cortisone requirement in unstressed times). The hormone ACTH will then instruct the adrenal cortex not to produce any extra hydro-cortisone. This has the result of shutting down the adrenal cortex manufacture of hydro-cortisone. In this situation if the supplemental hydro-cortisone is suddenly withdrawn, it will take the hydro-cortisone producing cells time to "wake up”. This will cause deficiency or withdrawal symptoms for a period of time, depending how long one has been taking this dose. In this situation, hydro-cortisone should be incrementally decreased over a suitable period of time. This is why hormone therapists such as Dr David Brownstein and William Jefferies recommend a dose in the region of only 20 mg a day in unstressed situations. The vast majority of people with adrenal insufficiency can manufacture the other 20 mg daily to yield the 40 mg daily for optimum physiological functioning. Since the adrenal glands, in this situation, are still working to produce hydro-cortisone they will not shut down. It has been noted that at these doses the opposite of dependency is created. 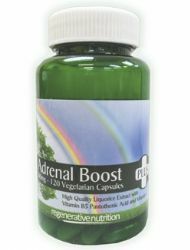 By supplementing at 20 mg a day, the adrenal glands are not being constantly triggered to produce 40 mg a day. This gives the adrenal cortex a rest and therefore increases the likelihood of the adrenal cortex recovering to a higher level of function after several months of supplementation. During supplementation with 20 mg hydro-cortisone daily many people will be able to accommodate natural therapies and supplements they could not tolerate before. 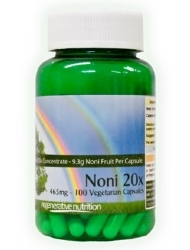 Organic Germanium, for example, is reported to improve the adrenal glands and help repair them and will be better tolerated with adequate adrenal functioning. To cope with the storm of progressive change, hydro-cortisone support is often required. In 1932, a physician named Harvey Cushing described 8 patients with central body obesity, glucose intolerance, hypertension, excess hair growth, osteoporosis, kidney stones, menstrual irregularity, and emotional liability. It is now known that these symptoms characterize Cushing's disease, which is the result of excess hydro-cortisone production by the adrenal glands. Hydro-cortisone is a powerful steroid hormone, and excess hydro-cortisone has detrimental effects on many cells throughout the body. Keep in mind that Cushing’s disease is very rare. One to two new patients per million are diagnosed each year which means approximately 60-120 new cases per year in the UK. It is more common in women and occasionally occurs in children. Liquorice: Liquorice herb can, in some cases, raise circulating hydro-cortisone level sufficiently to ameliorate an auto-immune disease, although in practice other factors need to be resolved to obtain a good result. However, for some people, especially if over 40, the effects will fall short of maintaining physiological levels of hydro-cortisone. Please see the Autoimmune Disorders article herefor more discussion and information on the subject. Vitamin C: The adrenal glands require vitamin C to function properly. In a sense we can describe vitamin C as an anti-stress vitamin. The form of vitamin C used by the body is largely sodium ascorbate. 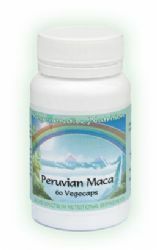 It is better understood as a liver metabolite rather than just a vitamin. A stressed animal can produce up to 100 grams daily to combat the physiological stress and damage that can occur from stress and infections. Unfortunately humans have lost the ability to manufacture sodium ascorbate/vitamin C.
Sodium ascorbate is the form of vitamin C the body prefers to use. It has also been found that relatively small amounts (half to one gram daily) can mitigate some auto-immune disorders. Sodium ascorbate can mitigate adrenal stress to some extent too, and aid in the maintenance of the correct functioning of the adrenal glands. 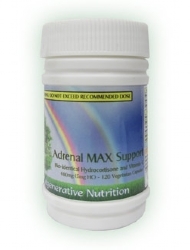 Sodium Ascorbate Vitamin C is included in the Adrenal MAX Support formula. Vitamin B5 - Pantothenic acid: This vitamin can be very helpful to aid adrenal gland integrity and may in some cases, to a greater or lesser degree, support hydro-cortisone production. Note for asthmatics: Those not using bio-identical hydro-cortisone should carry vitamin B5 with them at all times. In the event of an attack, a capsule can be opened and the content emptied onto the tongue where it should be allowed to dissolve. Relief is often quickly forthcoming. Pregnenolone: (Available from Regenerative Nutrition from late May /June 2013) This neuro-hormone, as it has been called, is a ‘mother’ adrenal cortex hormone from which several other adrenal cortex hormones can be produced/regulated. 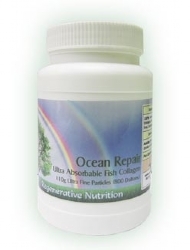 It has properties that can stabilize hydro-cortisone production (controls over-reactions or under-production). However it will only work in some cases to ease hydro-cortisone deficiency. It is also a precursor of DHEA. Pregnenolone can be supplemented safely if only physiologic dosages are taken. 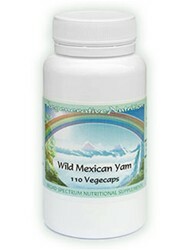 It can be considered a routine supplement for those over the age of 50. If we are to proceed more routinely and successfully in improving health, hydro-cortisone supplementation is often essential. From my personal experience; I took Pregnenolone and DHEA at physiologic doses for 3 months and obtained some minor benefits, but still failed to produce enough hydro-cortisone to stay free from asthma attack. Since I have been taking bio-identical hydro-cortisone not only have I remained asthma free, I am able to tolerate more powerful supplements such as Organic Germanium at a good dose. This will gradually undermine chronic congestion and poor oxygenation and poor acid waste elimination which is often one of the other main causes of asthma and other autoimmune disease. Biochemist David Zava, Ph.D. is a sought-after speaker on the topic of hormones and saliva hormone testing. He states that hydro-cortisone is needed for nearly all dynamic processes in the body, from blood pressure regulation and kidney function to glucose levels and fat building; muscle building, protein synthesis and immune function. He has specifically studied the effects of hydro-cortisone on thyroid function. He states that one of hydro-cortisone's more important functions is to act in concert or synergy with thyroid hormone at the receptor-gene level. hydro-cortisone makes thyroid hormone work more efficiently. A physiologic amount of hydro-cortisone, not too high and not too low, is very important for normal thyroid function, which is why a lot of people who have an imbalance in adrenal hydro-cortisone levels usually have thyroid-like symptoms but normal thyroid hormone levels. Both thyroid hormone and hydro-cortisone have to be there in the cells, bound to their respective receptors at normal levels, to work efficiently. When hydro-cortisone levels are low, caused by adrenal exhaustion, the thyroid is less efficient at doing its job of increasing energy and metabolic activity. Every cell in the body has receptors for both hydro-cortisone and thyroid hormone and nearly every cellular process requires optimal functioning of the thyroid. If a person, who has symptoms of low thyroid and also has adrenal insufficiency, takes a thyroid stimulating hormone, any increased metabolism that results can demand more hydro-cortisone to be produced by the adrenal glands. As the adrenal cortex is unable to produce this hydro-cortisone the process will act as a stressor on the adrenals and cause them to go further into a state of adrenal collapse. This can, in fact, be quite dangerous, precipitating extreme fatigue, chronic, fatigue or any auto-immune disorder that may be lurking in the back ground. This is why one must be 100% sure that hydro-cortisone levels are at healthy physiological levels before attempting to improve the metabolism with thyroid hormones. In fact this can be generally adopted as being the case, as previously discussed, for any remedy that may improve overall activity and efficiency of the body. I have had a very low temperature most of my life, usually around 95F to 96F all day. This suggests low thyroid function. After about 3 months of taking bio-identical hydro-cortisone my temperature, all day, has risen to 98 F on average. This indicates that thyroid function or at least the metabolic rate has returned to normal. If I had taken thyroid hormones before taking hydro-cortisone the increased metabolic rate would have undoubtedly thrown my adrenals into further collapse, and in my case would have lead to serious asthma. It is not uncommon for people with adrenal insufficiency to lose more salt daily via urine, due to hormonal dysregulation. 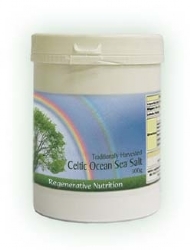 This will aggravate any weakness and fatigue felt by these people and makes the need for supplementing with unrefined full spectrum salt a high priority. Notes: By using a combination of supplements listed in this article such as Sodium Ascorbate, Vitamin B5, Celtic Ocean Sea Salt, Liquorice, hormones such as Pregnenolone and DHEA, the dose of hydro-cortisone required may be lower. Adrenal repair may follow more quickly. It could still take months or longer of all round support for the adrenals to be restored to a state where they can produce optimum amounts of hydro-cortisone. 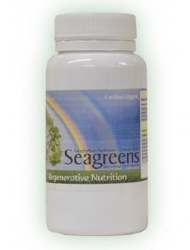 Organic Germanium is a very useful supplement for adrenal repair. The required dose of hydro-cortisone in unstressed state, we have established, is around 20 mg daily for the typical adrenal insufficiency case. One should periodically experiment in gradually reducing this dose and noting carefully any worsening of condition, returning to the minimum dose that gives optimum freedom from symptoms as required. However, no harm will come from long term use of doses up to a maximum of 30 mg daily. but it is nice to know when we can produce our own hydro cortisone. For the more elderly and those with severely compromised health, a full recovery of adrenal function is less likely. The limit of this recovery will also depend on the total therapeutic program one uses. The Miracle of Natural Hormones David Brownstein M.D. The supplements recommended for the treatment of Adrenal Problems are listed below. Not all will necessarily be discussed in the article, as some may have been added after the article was posted. If a listed supplement is not mentioned within the article, or you wish to know more about any of the listed supplements, you can find out more information by clicking on that supplement below. You can also now add to your basket directly from this page.